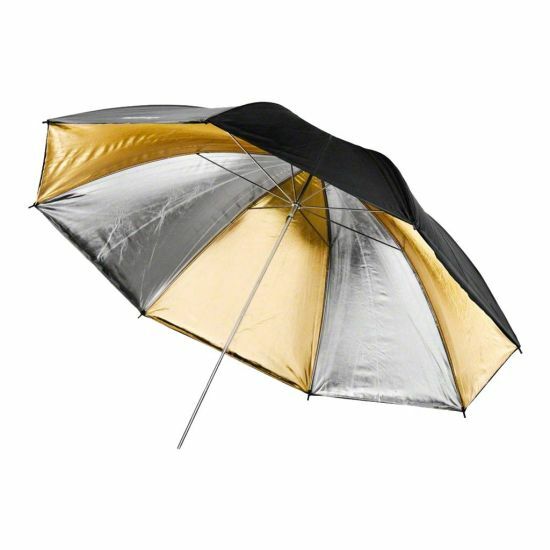 The Reflex Umbrella Dual by Walimex pro in golden/silver is double-layered which makes it particularly efficient. 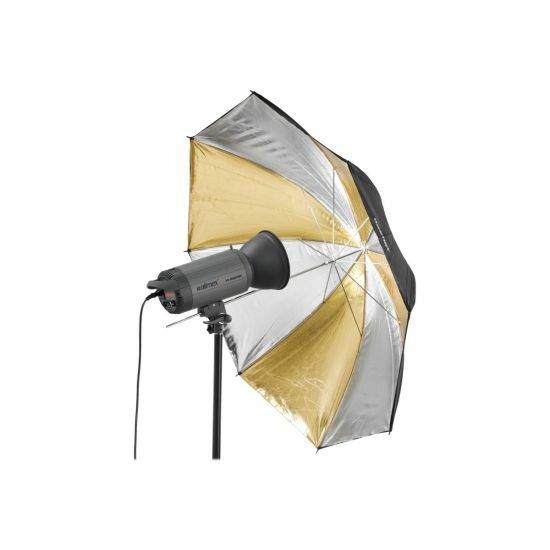 It has an even better reflection capacity and the light efficiency is higher, while the loss of light is minimized. 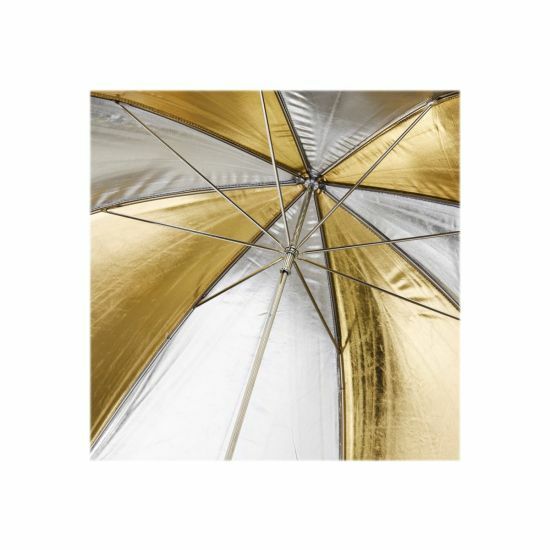 Due to the color of the reflex surface, which is alternately golden and silver colored, the light color resembles the sun. 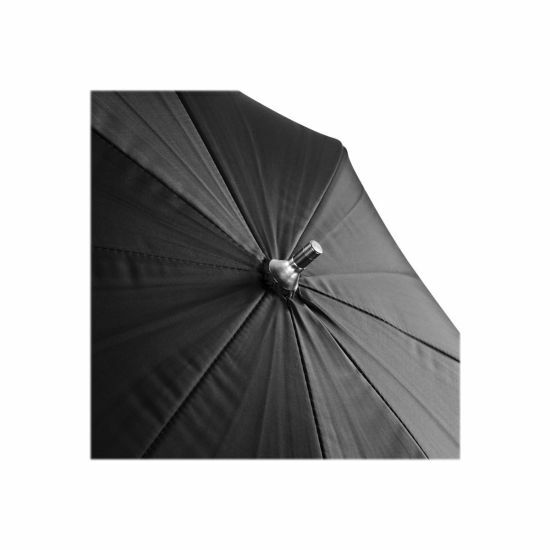 The umbrella is particularly well-suited for portrait photography, especially to create a warmer light mood. 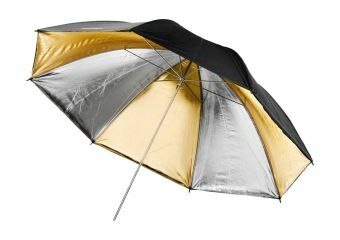 The workmanship of the umbrella is extremely high quality and it impresses with its classy look. 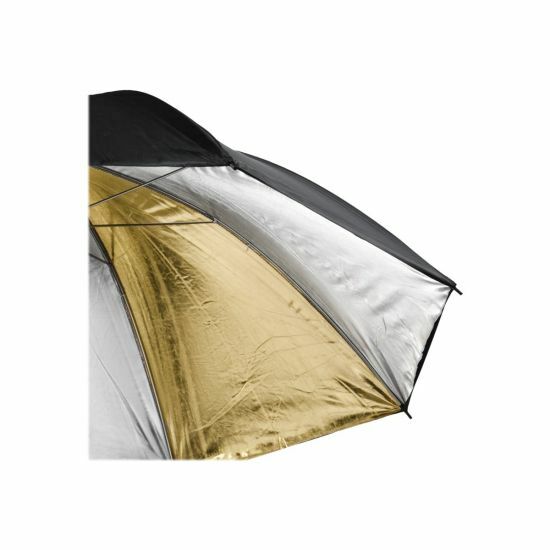 Both the tip and the frame are made from metal which ensures higher stability and a longer lifetime. The metal shaft end is reinforced so it can be inserted into the reflector holder on the flash device more easily.